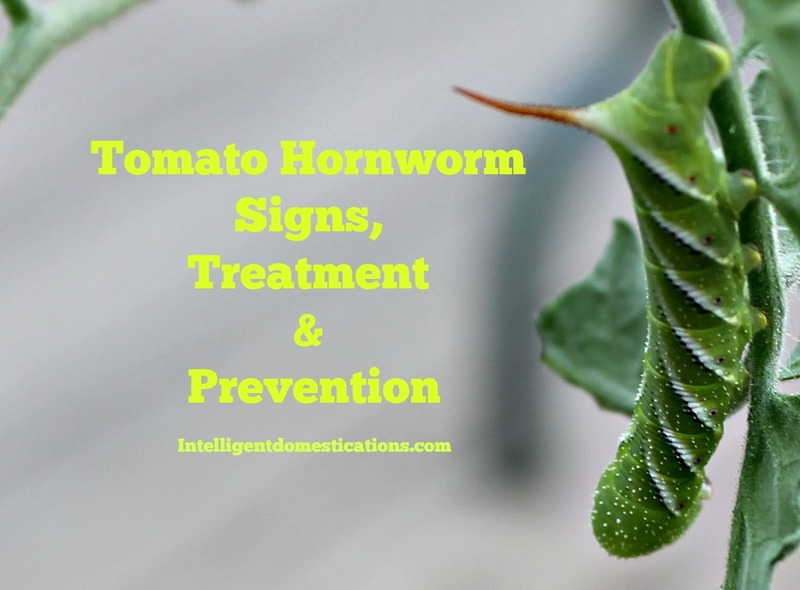 Have you had an encounter with that pesky Tomato Hornworm? Because of our experience, I wanted to share with you what we have since learned so you can take preventative measures too. He is almost cute, isn’t he? If you are raising chickens, you may already know that you can feed these to the chickens. It’s like a steak dinner to them! Handpicking; a slow a tedious process. Drop them into soapy water to kill them or feed them to the chickens. Nematodes such as lady bugs and braconid wasps. Attract the wasps by growing the companion plants listed below under Prevention. 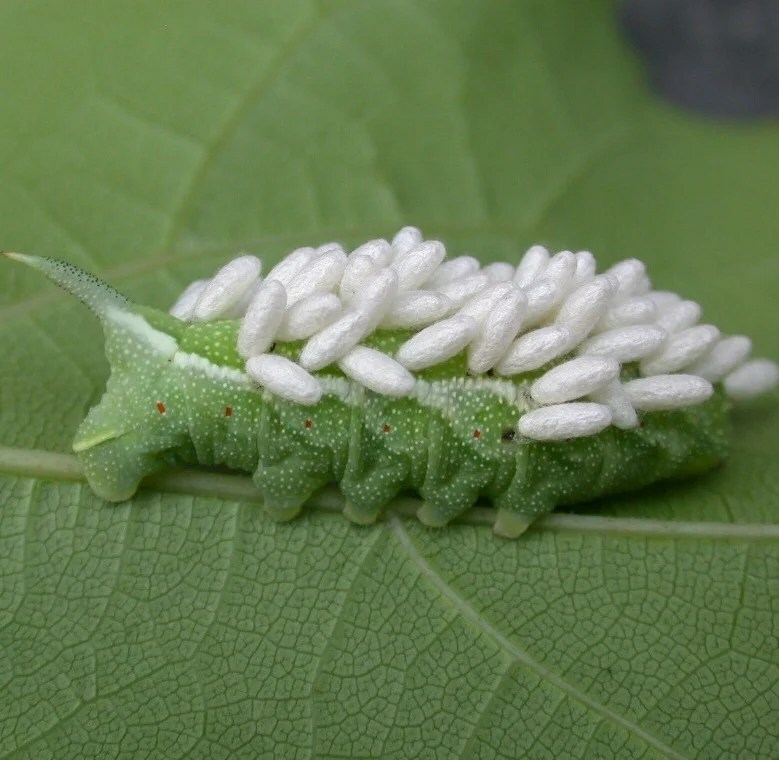 If you see a Hornworm covered in these little white sacs, leave it alone to die. Those are eggs laid by the parasitic braconid wasp. The worm will die and the eggs will hatch more of the helpful garden wasps. Yes, I did just say you can allow a bunch of wasps to hatch and live in your garden! I’m not too crazy about that idea either but if it will save my tomato plants, count me in. Some of the companion plantings mentioned above include flowers which attract the wasps to your garden. 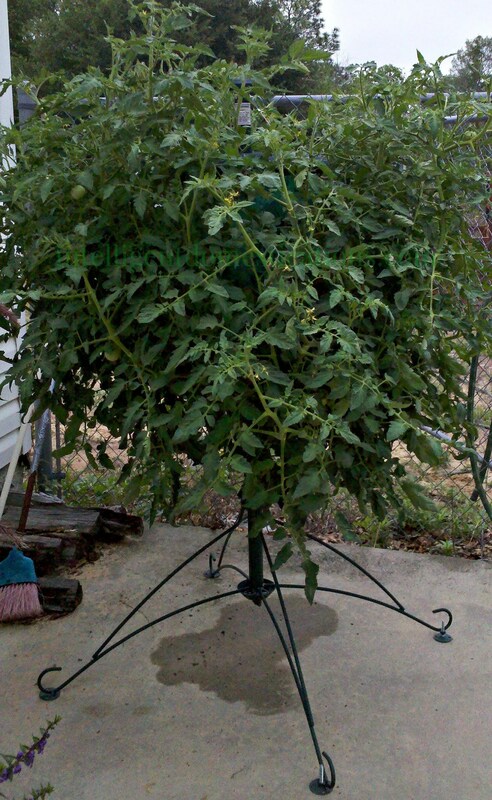 Tomatoes are the most commonly planted home garden plant. It is so nice to bring in a nice big juicy ripe tomato in the summer and make yourself a tomato sandwich, isn’t it? Don’t let those pesky Hornworms ruin your summer garden! This short video on You Tube does a great job of educating about the Tomato Hornworm. Follow me on You Tube HERE for a growing library of informative videos on everyday domestic adventures. I have never had a tomato horned worm. (I’m knocking on wood!) This is great information to know, so thanks. Thanks for linking up at the Weekend Blog Hop at My Flagstaff Home! I saw one of these worms for the first time last year. It totally freaked me out:-) Great article. Pinned and stumbled! Thanks for linking up and sharing with us at Funtastic Friday. Hope you join us again this week. I remember seeing these pesky things in my dad’s garden when I was growing up! So glad you shared how to get rid of those worms. The video is very informative, too, showing when to look for worms and what to look for. Our tomato plants got attacked too and then was finished off by the freak snow here. This year I got some organic pesticide to spray on the plants and hopefully it will help. I’ll post some instagram pics of our tomato plants soon. Thanks for sharing your tips.